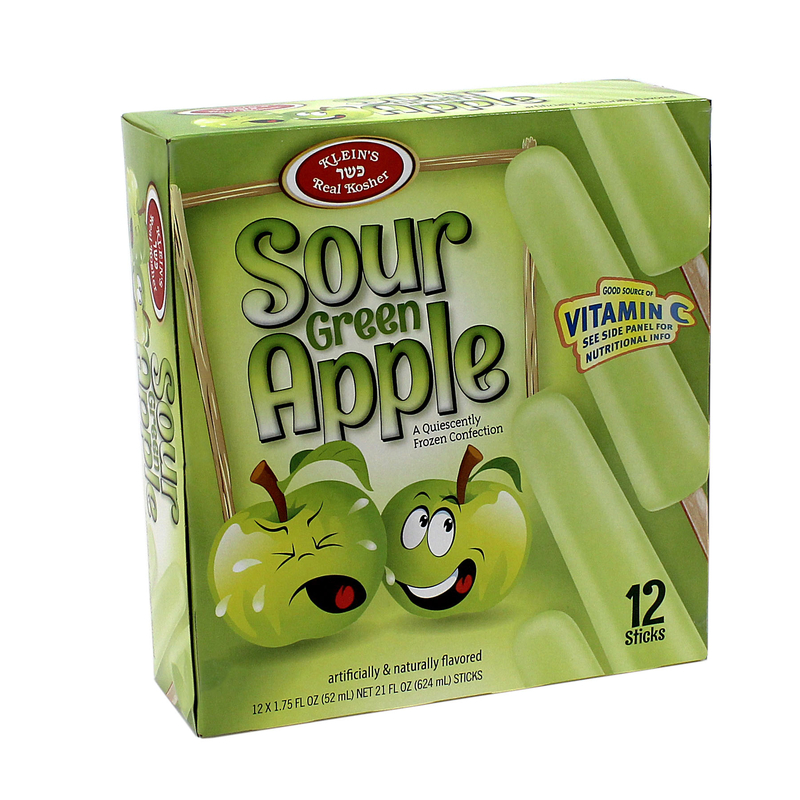 Watch the kids glee with excitement as sour green apple welcomes the summer season! 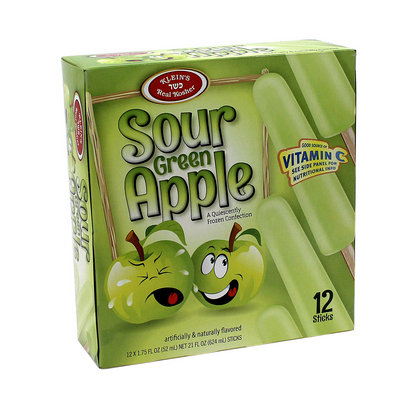 this sweet/sour green apple still will become an instant favorite!! 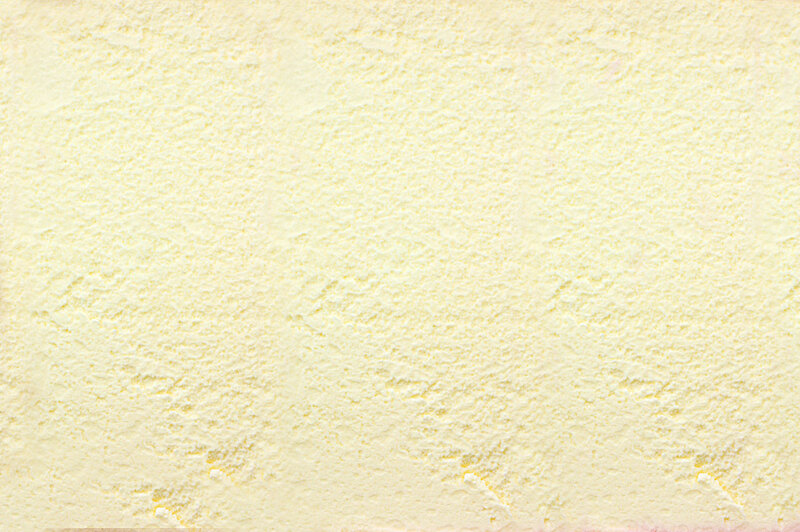 Water, sugar, corn sweeteners, citric acid, guar gum, ascorbic acid, malic acid, natural and articial flavors, xanthan gum, FD&C yellow #5, polysorbate 60, FD&C blue #1, sodium benzoate, potassium sorbate.